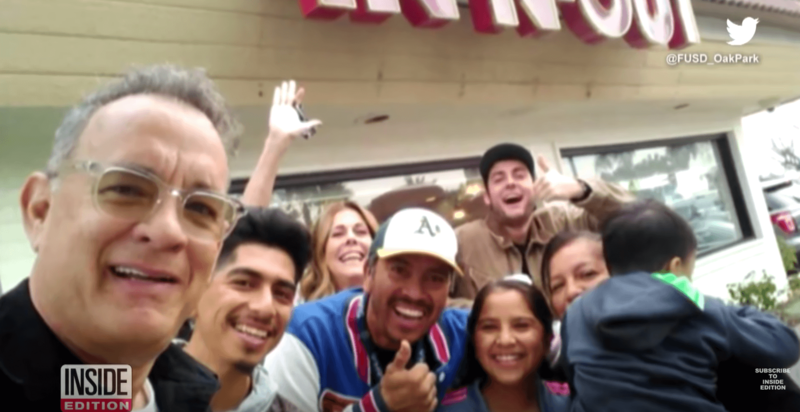 Tom Hanks and his wife were spotted at an In-N-Out in Fontana, and like always, he did not disappoint. He took pictures, ate lunch, talked with, and even paid for all of the people in the In-N-Out. Everyone there was starstruck but said he was "such a nice guy." Tom Hanks and his wife are notorious for dropping in on people unexpectedly, and it never fails to brighten their days.